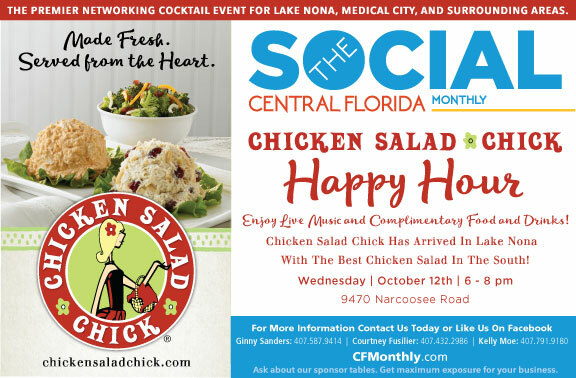 Who’s Your Favorite Chick at Chicken Salad Chick in Lake Nona? No matter which way your taste leans, we want to know your favorite option on Chicken Salad Chick's menu. Are you a fan of Classic Carol or Fruity Fran? Or maybe it’s Sassy Scotty that gets your feathers ruffled? No matter which way your taste leans, we want to know your favorite option on Chicken Salad Chick’s menu. Join us at The Social tonight so you can taste your way through the menu and vote for your favorite.